Crisis management is a topic that occupies space among many of our most prominent and brilliant business minds in an array of management settings. What to do when an incident occurs, problems arise, or the unexpected befalls an organization takes issue among a variety of scenarios and situations. Crises reside within many aspects of contemporary business environments. Whether your specialization is logistics, airfield management, or IT infrastructure, crisis management is an ever-present concern. Crises can be found among a wide gamut of phenomenon, ranging from safety and security to infrastructure development and general management. There is no aspect of contemporary business or leadership that will not be affected by crises at one point or another. 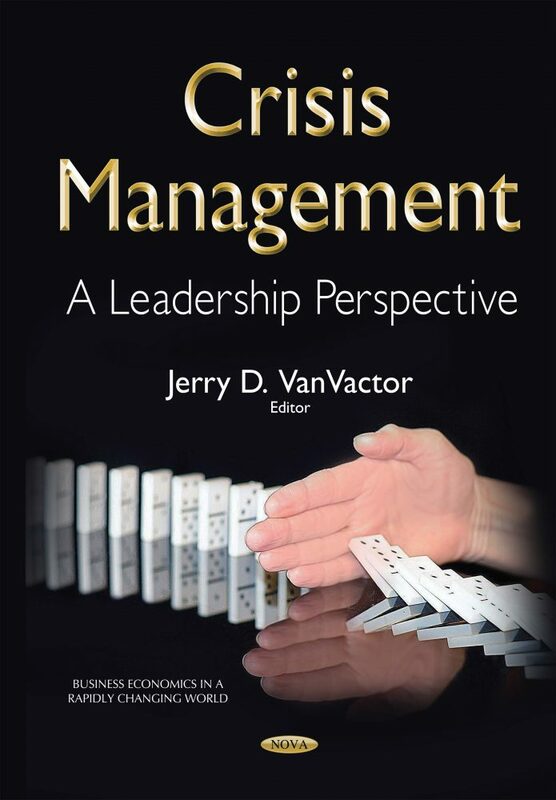 In this book, an international group of professionals has assembled a collection of unique leadership perspectives related expressly to crisis management. The material examines multiple aspects of communication, leadership decision-making, and incident management. The book concludes with a model for improving crisis management among contemporary settings. Providing a practical methodology, Crisis Management: A Leadership Perspective allows readers to decide for themselves what is most important for a given organization while providing readers with concepts, themes, and ideas related to process improvement, organizational planning, and communication techniques. Featured within the material are chapters related to safety and security, incident management and control, crisis response metrics via a balanced scorecard, data management, logistics management, and two unique combat theater case studies that involve crises management tactics and techniques. This book is an easy-to-read, practical guide related to crisis management; the text will only strengthen existing operational templates concerning what to do when crises strike an organization. Regardless of ones level of experience in crisis management, this book will prove to be a great addition to other texts related to similar topics. Communicating Collaboratively: Has the Model Concerning Command and Control Changed? New Perspectives on Population Data in Spatial Modeling for Crisis Management: Where Are We Headed?